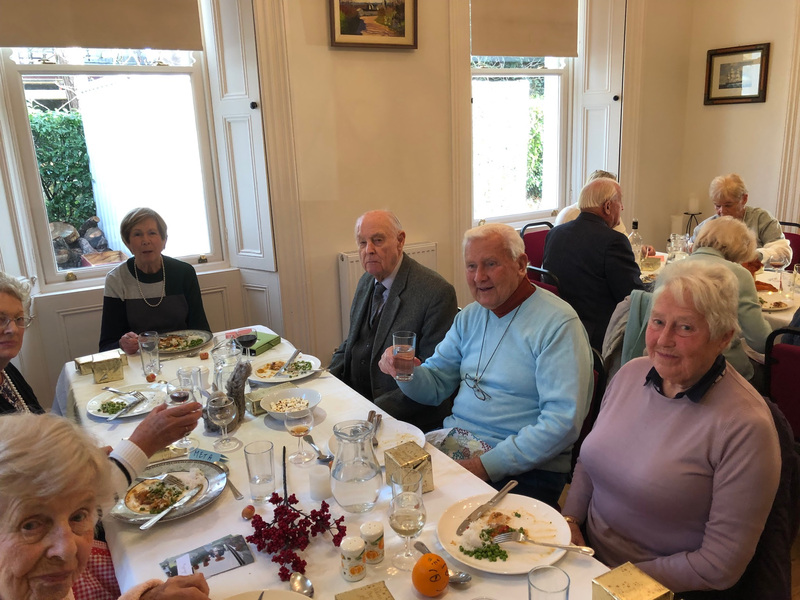 The Connect Group lunch in the Rectory on 22nd November was preceded by a short Holy Communion service. As it was also Thanksgiving there was an American theme with mini pumpkins and popcorn. 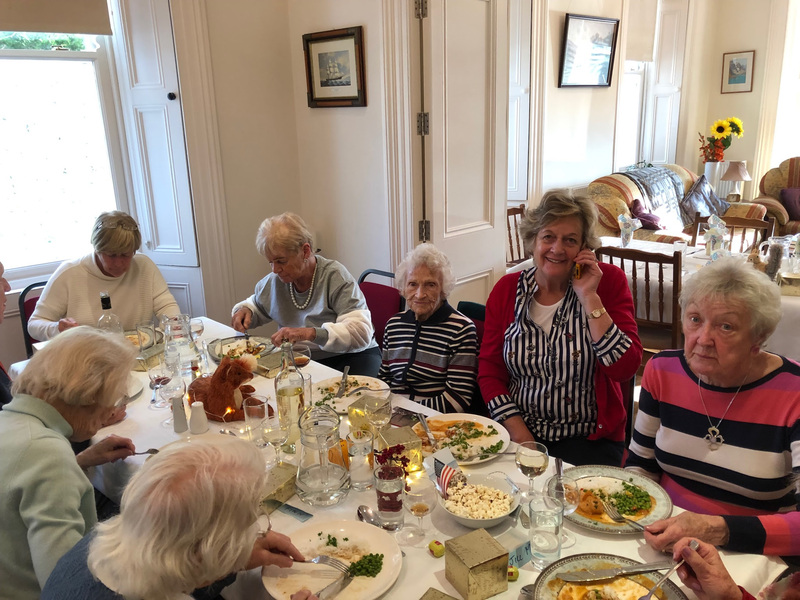 Many thanks to all the team for a delicious lunch of mango chicken and Eve’s Pudding and also to Bob, Frank and Henry for driving duties. Henry also provided an amusing piece ‘We’re Not Gone Yet’. Thanks to Ken for playing the organ and to Janet for her beautifully wrapped gifts for all. To Vera for setting the tables with autumnal décor and for allowing us to take over the rectory kitchen yet again. To Jill M and Meta for coming to our assistance as some of the team were unavailable. 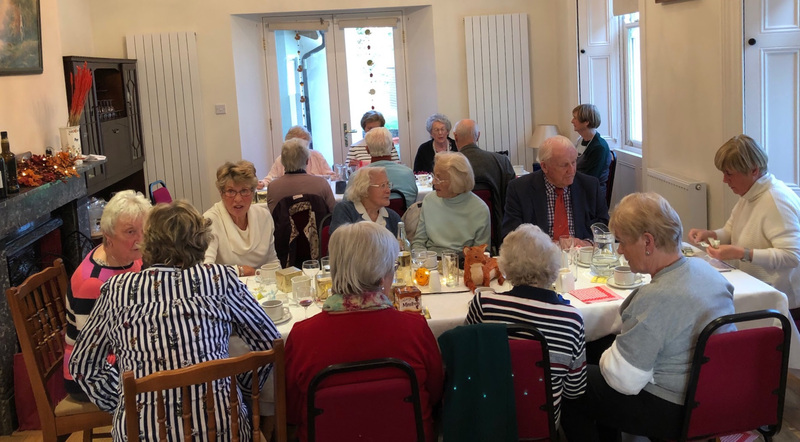 Big thanks to all attendees and to the Rector, Jill F, Hilary, Dawn, Shirley, Christine and Alison for making a very enjoyable occasion for all. Happy Christmas to all from the Connect Group. Jennifer Sowman.